When assessing a new site, we use a ‘Sun Eye’ to identify the direction of True North. 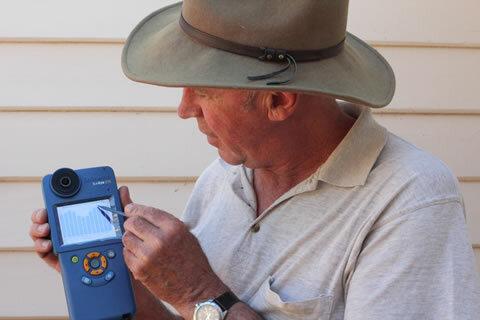 This wonderful piece of technology is linked to GPS providing latitude and longitude readings for the site. We input the angle tilt of your roofs, and take fisheye lens photographs with the Sun Eye that allows us to note obstructions and the 12 months of seasonal sun variation available. This allows us to predict with great accuracy which solar design will perform best for the customer’s needs. Whether a commercial or residential customer your needs will be individually assessed and our focus is to maximise your energy cost savings. For example, air conditioning on a hot summer’s day consumes a lot of energy from the grid – solar panels can reduce or eliminate this consumption. We can advise where and how to make savings. Every residential and commercial operation using daytime power can reduce their costs and consumption of energy from the grid immediately. Brands available include SMA, ABB, Trina Smart Panels and LG panels; many more brands available to suit your budget including inverters for all applications. Off grid provides you with a power generation and storage source. The size and voltage required depends the consumption of energy. For example, small weekenders may only want a 12 volt system to run a TV, small 12 volt fridge and lights. To live at this location fulltime may require 24 volts as the fridge needs to work during winter when solar energy is less and cloudy days may require a back-up charge from a generator. A remote large 3 bedroom home can achieve the same lifestyle as a grid-connected home using a 48 volt battery system, with generator backup automated and programed to keep the batteries charged when solar PV output is low or demand is extra high. There are many options in design. It is a good idea to involve your off grid solar designer when plans are being drawn for new projects. This will ensure Australian design standards are met whilst achieving aesthetic outcomes for incorporating battery rooms, power rooms, and photovoltaic panel locations. We are resellers of Solar Ark and Apricus evacuated tube hot water heating systems. These can be installed as domestic or commercial hot water systems with tanks in stainless steel or enamel available. Multiple evacuated tube manifolds in series may be connected together for successful and cost saving commercial applications. Evacuated tubes may also be used for pool heating. To raise the water temperature, the outflow from a solar hot water tank may be boosted by incorporating a gas instantaneous water heater - never leaving you short of hot water. Alternatively, the temperature may be boosted by a grid-connected electric element on your general or off peak supply. We resell solar powered heat pumps from Solar Ark that could be the answer for building or slab heating, with the heating source either evacuated tubes, evacuated flat plates or a ground loop. The heat pump incorporated in the top of each storage tank, allows temperatures to be boosted using grid power if needed. Integration into existing heating systems is possible. We sell and install Solar Ark roof air extraction fans that reduce ceiling space heat and improve efficiencies of ducted air conditioning. These fans are solar panel powered, use highly reliable DC motors, and are thermostat controlled to stop operating once lowering the roof space temperature to 24o C. These excellent fans beat the old Wirly-Bird which never stops. Not operating below 24oC holds all the warmer air inside the roof during winter. The building will be warmer and ducted air conditioning will have less heat loss. High quality of workmanship and attention to detail are standard procedure for any job we do. 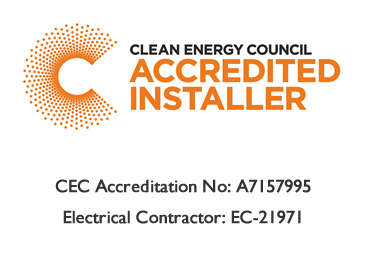 We believe that any installation must provide reliability, performance and value. We are happy to assess all your needs and to communicate to achieve good outcomes. Is your solar system still working efficiently? Would you know if it isn’t? We provide a maintenance and checking service which can test voltages/currents within a system; check and test batteries, inverters and generators; or clean your PV panels. Repairs and upgrades to systems can be undertaken. We live locally and are committed to giving locals quality work and follow-up support.